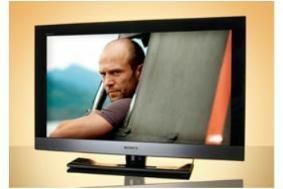 HOT DEALS: Save up to £500 on Bravia TVs in the Sony sale | What Hi-Fi? And there's up to £150 off the Award-winning BDV-E370 Blu-ray home cinema system (£338.32), plus a discount of up to £150 on the Bravia KDL-32EX503 TV (£448.97 online). Other TV deals available in store and online include the Sony KDL-32EX403 for £399.50, KDL-37EX403 for £598.94, KDL-40EX403 at £498.96, and KDL-46EX403 for £898.08. Further up the range the KDL-40EX713 is available for £799, the KDL-46EX713 for £1099.05 and KDL-40HX803 for £998.99. Blu-ray system deals include the BDV-F500 at £338.32, BDV-E870 at £399.50 and BDV-E670 at £448.97.